Dr. Diener, who joined Gallup as a Senior Scientist in 1999, advises Gallup on research in psychological well-being. His current research focuses on the theories and measurement of well-being; temperament and personality influences on well-being; income and well-being; and cultural influences on well-being; and how employee well-being enhances organizational performance. Dr. Diener has received several prestigious scholarly awards. He received the Distinguished Scientific Contribution Award from the American Psychological Association and the William James Fellow Award for outstanding contributions to scientific psychology from the Association of Psychological Science. He also was awarded the Distinguished Quality-of-Life Researcher Award from the International Society of Quality of Life Studies. 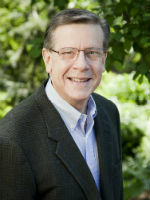 Dr. Diener’s work has appeared in more than 330 publications; about 250 of these focus on the psychology of well-being. His work has appeared in journals such as Psychological Science, American Psychologist, and Psychological Inquiry, among many others. Dr. Diener was the editor of the Journal of Personality and Social Psychology from 1998 to 2003 and is an editor of Journal of Happiness Studies; he is also the founding editor of Perspectives on Psychological Science. Dr. Diener has co-edited three books on subjective well-being: Well-Being: The Foundations of Hedonic Psychology, Advances in Quality of Life Theory and Research, and Culture and Subjective Well-Being. He also co-edited the Handbook of Multimethod Measurement in Psychology. Dr. Diener wrote a popular book on Happiness with his son, Robert Biswas-Diener and is the coauthor of Well-Being for Public Policy. Dr. Diener is past president of three scientific societies: the International Society for Quality of Life Studies, the International Positive Psychology Association, and the Society for Personality and Social Psychology. He is a fellow of five professional societies, including the Association for Psychological Science, American Psychological Association, and International Society for Quality of Life Studies, Society for Personality and Social Psychology, and Experimental Psychology. Dr. Diener earned his bachelor’s degree in psychology from California State University, Fresno and his doctorate in personality psychology from the University of Washington. He has more than 93,000 citations to his credit. Dr. Diener has also received several teaching awards. * The FABBS Foundation would like to thank Drs. Robert Feldman and Linda Isbell for nominating Dr. Diener for this honor and for leading the effort to spread the word about his nomination. Would you like to honor Dr. Diener? It’s not too late to have your name added to the list of donors! You can make your donation to Dr. Diener’s In Honor Of… campaign at anytime.